Green Bay Packers quarterback Aaron Rodgers and Michael Jordan warm up on the driving range Thursday at Shadow Creek in North Las Vegas. 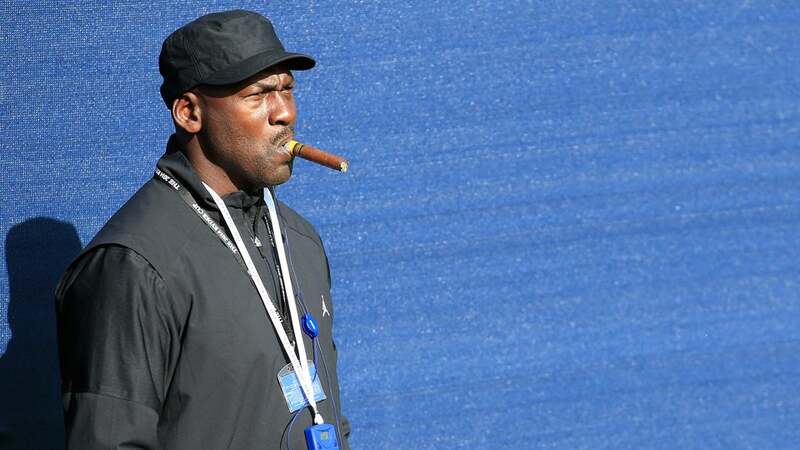 Michael Jordan is taking his love of golf to the next level. The NBA superstar has reportedly presented plans to build his own course in Hobe Sound, Florida, according to TCpalm.com. The proposed course would be situated east of Interstate 95 and north of Bridge Road in Hobe Sound, with a feel similar to Medalist (where Jordan is a member) and designed by Bobby Weed, the architect who led Medalist's recent renovation. According to reports, Jordan and 25 others have invested in the proposed property. "It's going to be Michael's joint," TCPalm.com quoted an anonymous source as saying. "Twenty-five other guys are putting up $1 million, but he's the one who makes the rules. It will be celebrity laden." Initial reports of Jordan's plan surfaced in February 2015, along with details that Jordan would hand-pick his members. He has been cited as being "frustrated" with the pace of play at The Bear's Club in Jupiter, Florida, where he is also a member.